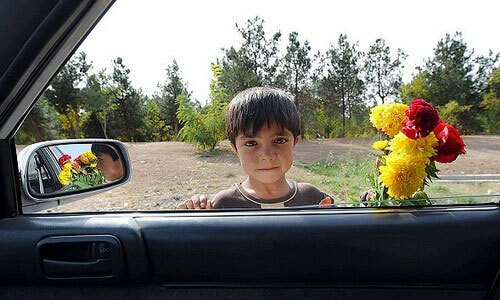 A child worker selling flowers in the streets for living. Reports indicate that under the ruling mullahs, there are 10 million unemployed and 50 million under the poverty line in Iran. 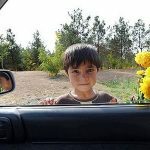 Despite more 80% of Iranians living below the international poverty line, the mullahs and their state-run media outlets published a list of Iranian institutions which are exempt from paying income tax. The list featured mostly national religious organizations, many of which are under the direct control of the Supreme Leader Khomenei. The Mostazafan Foundation, the Execution of Imam Khamenei’s Order (Setad), the Foundation of Martyrs and Veterans Affairs (Bonyade Shahid), the Imam Khomeini Relief Foundation (Komiteye Imdad), the Sazman-e Tablighat-e Eslami (Islamic Propagation Organisation), the Office of Islamic Propagation of the Qom Seminary, the Bonyad Maskan of the Islamic Revolution (Housing Foundation), the Seminary Services Center, the Islamic Revolution Cultural Research Institute, and the Al-Mustafa International University in Qom all made the list. The economic situation for the Iranian population is dire. By every international measurement, the Iranian economy is failing. GDP will fall by an estimated 0.8% this year. Inflation is currently at an estimated 260% and unemployment has reached double digits (a reported one-third of college-educated Iranian men and half of the Iranian women under 30 are unemployed). In such desperate economic circumstances, the regime’s spending on these institutions is deplorable. Seven of the tax-exempt religious institutions received a budget of around 7,000 billion tomans from the regime’s coiffures this year. The Imam Khomeini Relief Foundation alone received a budget of 4,800 billion. The list reveals the widespread institutionalized corruption which is emblematic of the clerical regime. While ordinary Iranians struggle to put food on the table because of arbitrary fees, tolls, and taxes introduced by regime officials, the regime’s affiliates receive a steady stream of tax-free, public funding. A Reuter’s investigation into Khamenei’s Execution of Imam Khomeini’s Order Foundation, also known as Setad, found the conglomerate held extensive real estate assets, making it a multi-billion dollar organization. Through religious organizations like those listed in the report, Khamenei and his allies are able to funnel public funds into their pockets through shell religious institutions. It is through these practices that the rich in Iran get richer while the poor get poorer. Economist Ibrahim Zaraghi estimated that the wealthiest 4% of the population now holds the same wealth as the remaining 96% of Iranians combined. “You can see how fast the four percent have made the rest of the population poor”, he said. Several in the Iranian Parliament have spoken out against the corruption and nepotism that has forced 10% of Iranians into conditions of absolute poverty. Hedayatollah Khademi criticized the mullahs’ mismanagement of the economy. The mullahs are draining the Iranian finances. What doesn’t go directly into their pockets through religious institutions is funneled abroad to Hezbollah, militias in Syria and Yemen, and Hamas in Palestine. The regime also spends a staggering $25-$30 billion on developing missiles and advancing its nuclear ambitions. The Iranian economy will continue to flop while the mullahs have free-reign to plunder Iran’s institutions and funnel public finances into their pockets. The only way to improve the economic standing of the Iranian population is through regime change. This list only reiterates that. The mullahs will not willingly relinquish their grip on the Iranian economy. The take back what is theirs, the Iranian people must do it themselves.